There’s been some head scratching on the configuration of the new Dura Ace 9000 brake caliper. Velonews speculated that there are 3 pivots hidden in the caliper above. What’s kind of weird is the spy photo from Japan (about a month old) seems to show a full production model, while the shots of Team Sky Pinarellos at the Giro this week have logo-free examples, as if they were prototypes. 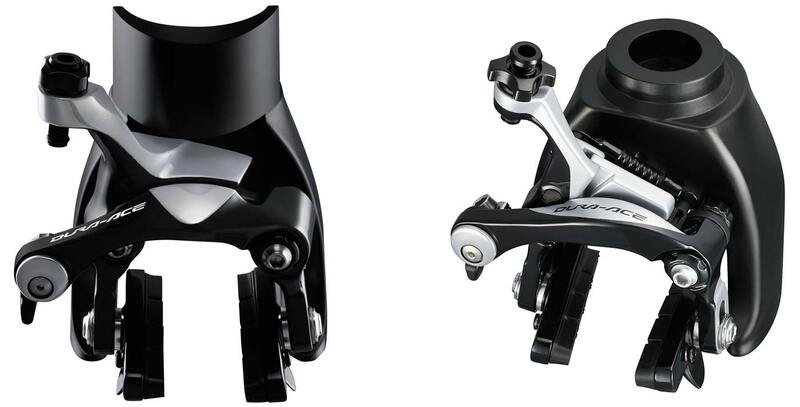 I would say that the new caliper most likely just has two pivots, but instead of Shimano’s previous (and widely copied) configuration of a central pivot and a secondary pivot, the DA9000 looks to have to equally spaced pivots. This would mean that the mounting bolt is not a pivot at all, that it simply holds a centre piece with a pivot at either end. The similarities between the two also might explain the “direct mount” brake that Velonews discovered on a leaked tech document. Paul’s offers a “direct mount” version of the Racer which does away with the central bracket and instead mounts the two arms directly to a pair of brazed-on bosses, the arms pivoting there on. With a number of aero frame manufactures building bikes with integrated brakes, the DA9000 direct mount most likely has a similar purpose. However, bikes like the Willier Twin Foil that I have written about before have pivots that would not accommodate centre-pull-like brakes. 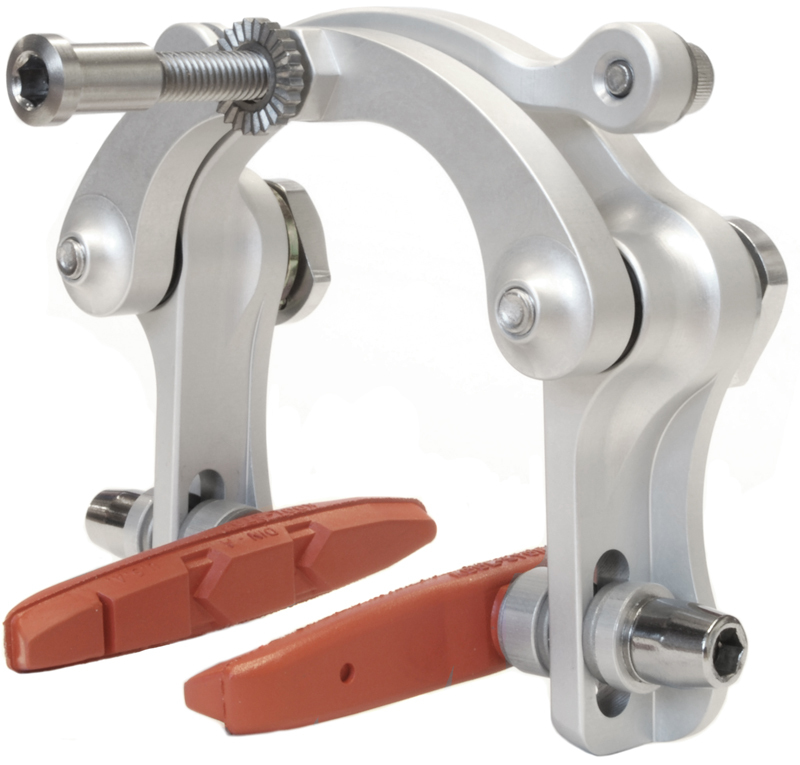 The TRP brake that fit the Twin Foil are a variation of linear pull/cantilever arm brakes much like v-brakes, and the mounting boss sits below the rim’s sidewall (ie between the rim and the axle) rather than a centre-pull which has the boss above the rim. Also, I’m not sure how the cable arms and barrel adjuster would work on a rear brake, which on aero bikes is frequently jammed up behind the bottom bracket. Such as position would have the barrel adjust and the chainrings competing for the same space.